5 realistic January signings Arsenal fans would be delighted with | The Transfer Tavern | Where football transfer rumours fly or die! Swinging between absolute despair and jubilation like no other side it seems, Arsenal supporters are currently on the up here in the Football Transfer Tavern with Tuesday evening’s 3-0 victory over Dinamo Zagreb giving them hope that they can still qualify to the knock-out stages in this season’s Champions League. 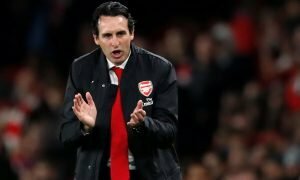 Having to do with the Europa League if they cannot win by a two goal margin at Olympiakos, the Gunners’ task is tough but our resident Gooners here in the tavern think they can do the business – if they don’t suffer any more debilitating injuries! 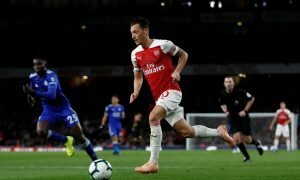 As everybody is more than aware now, the Gunners’ annual injury crisis has struck again and that Capital One Cup fourth round fixture at Sheffield Wednesday has rally put a spanner into the works of Arsenal’s season with injuries to both Theo Walcott and Alex Oxlade-Chamberlain that have hit the team hard. Joel Campbell has come into the team to deputise and despite impressing well against Zagreb this week, not to mention scoring against Swansea City, he’s still looked shaky and potentially not up to it for a club looking to win the Premier League title. The injury that is likely to hit the Gunners even harder however is the one sustained by Francis Coquelin at West Bromwich Albion with the French linchpin now set to miss a crucial two months of the season at least. With Coquelin’s injury in mind, not to mention squad deficiencies elsewhere, today we’ve devised a list of five realistic January transfer window signings that Arsenal fans would be delighted with. Click on the image below to reveal the five realistic January signings Arsenal fans would be delighted with.